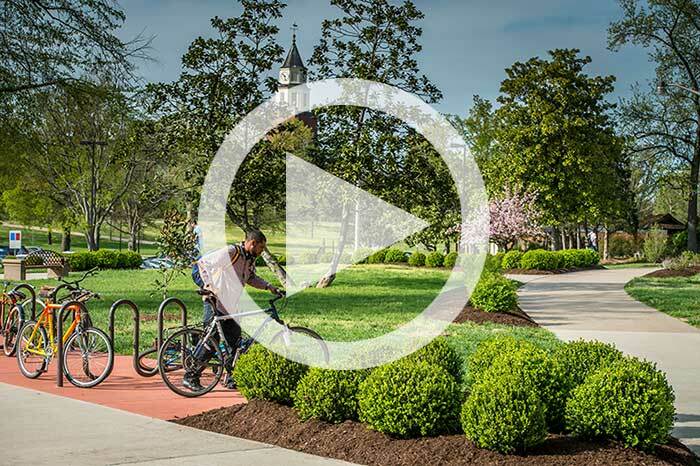 Open House programs are all about giving you the full Saluki experience. You can go on a campus tour, meet with people from Admissions, Financial Aid, and University Housing, sit in on info sessions; and browse our information fair with representatives from all academic departments and student support programs. Be part of our next open house experience. Monday through Friday visits are great for new and transfer students who are serious about attending Southern Illinois University. You’ll talk to an admissions counselor, take a campus and residence hall tour with a current student, and have an opportunity to meet with a representative in your academic area of interest. It is important to register well before the day you want to visit, since these appointments are scheduled based on your interests. Transfer-specific sessions are also available on select dates. Ahora ofreciendo campus tours en español. Now offering campus tours in Spanish. Most of the campus is closed on weekends, but Undergraduate Admissions is open on a few select Saturdays. If you don’t mind the quiet, a Saturday is a great day to visit. Saturday visits typically include brunch with a student in a dining hall, a session with Undergraduate Admissions and a tour of campus, including a residence hall and the Recreation Center. Group Visits are available for school and community organizations. With advanced notice, we can plan a campus experience to meet the needs of the group. To schedule a group visit, or for more information, please contact our Group Visit Coordinator at 618/453-2184 or by email at groupvisit@siu.edu. Admitted to SIU but haven't made your final decision? Check out our vibrant and exciting campus on one of our Admitted Student Days. SIU hosts several large on campus events throughout the year, including the Southern Illinois Regional College Fair. Or, we may be coming closer to you for an event soon. Look for upcoming special events year-round.